Used for many years as the precinct house, this is said to have been built around 1850 as a doctor’s office. A nearly identical twin to this house, known as The Globe, is located nearby. Philomath is a Greek word meaning “love of learning”. White settlers were in the area by the 1780s and the community was established as Woodstock in the 1820s. When the post office required a name change due to the existence of another Woodstock, Alexander Stephens suggested Philomath to honor of the prominence of Reid Academy, a local boarding school for boys. Woodrow Wilson’s father Joseph was often a guest minister here, and the future president was a frequent visitor as well. He recalled his time in Philomath fondly. The Presbyterian church has become the unofficial symbol of Philomath. 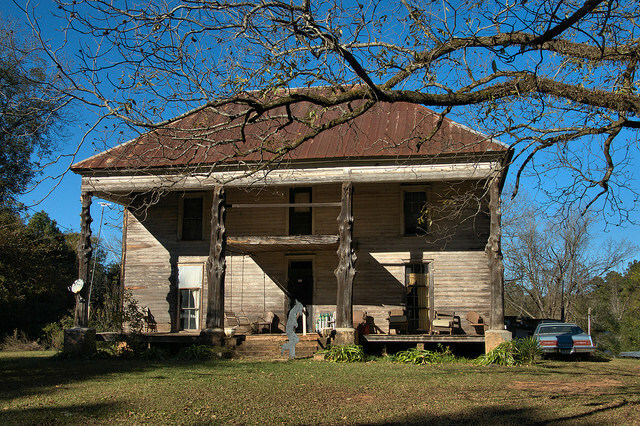 In 2005, eight citizens came together and began the effort to preserve it. Today, it’s used for secular purposes. 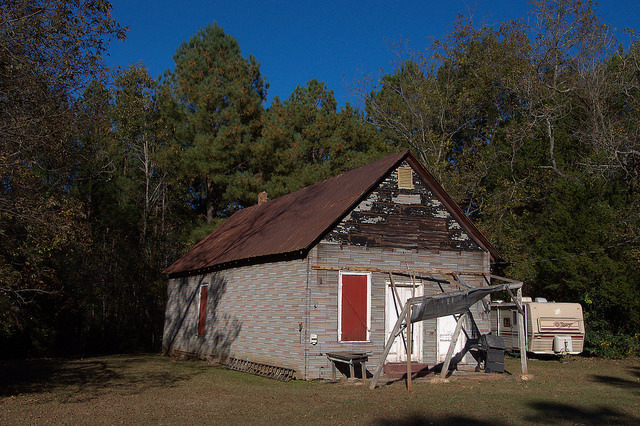 A Georgia historical marker placed here in 1958 gives more insight: This ancient Church has served under four names and in four counties. Liberty Presbyterian Church was organized by the Rev. Daniel Thatcher, about 1788. The original place of worship, a log house, was erected near War Hill, about seven miles from the present site. The church was called “Liberty”, because, though built by Presbyterians, all orthodox denominations were allowed to use it. 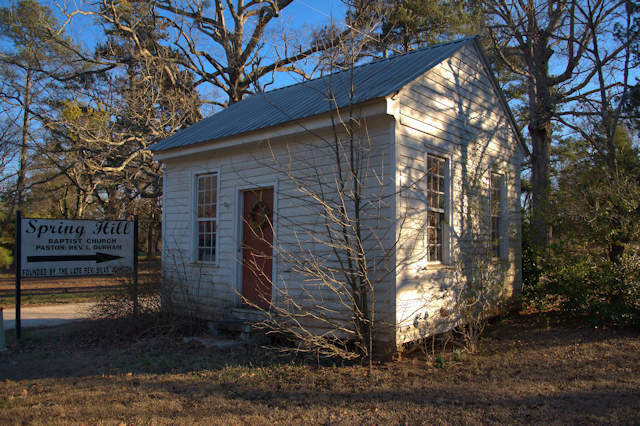 The Presbytery of Hopewell, formed Nov. 3, 1796, held its first session in Liberty Church on March 16, 1798. Soon after 1800, the log house was abandoned, and a new structure erected at the top of Starr’s Hill on the old Greensboro Post Road. The name of the church was then changed to Salem. the Rev. Francis Cummins was the first minister to preach there. 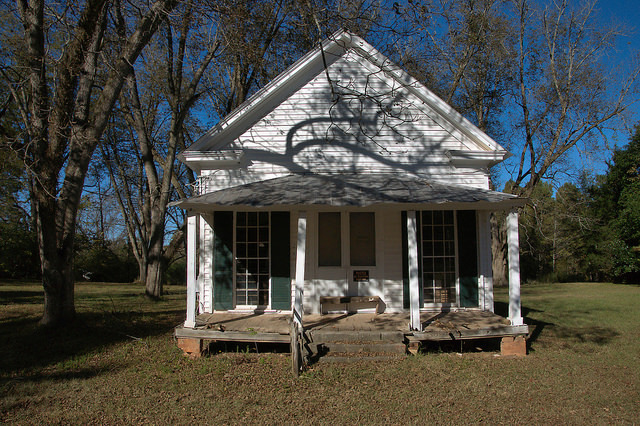 This building was used until 1834, when the location of the Greensboro road was changed, and a new church edifice was erected at the site of the present Phillips Mills Baptist Church. the Rev. S. J. Cassels was the first pastor, followed by the Rev. Francis R. Goulding. In 1848, the Salem church building was sold to the Baptists, and the entire Presbyterian membership moved to Woodstock, now Philomath, where a new church edifice had been built. The Rev. John W. Reid was pastor at the time of the removal. Asa Tucker Drake was the son of James V. Drake. He was the only undertaker in town and used this barn to store coffins. Locals call it the “old coffin house”. Drake also owned the store next door at one time. John Hunt writes: While Asa Drake did operate the funeral home in Washington, and may have used it store coffins, his father, James, sold coffins out of this barn prior to the funeral home. He also sold copings for cemeteries. Evidence of this is in front of the house that sits next to barn. This was James’ house. 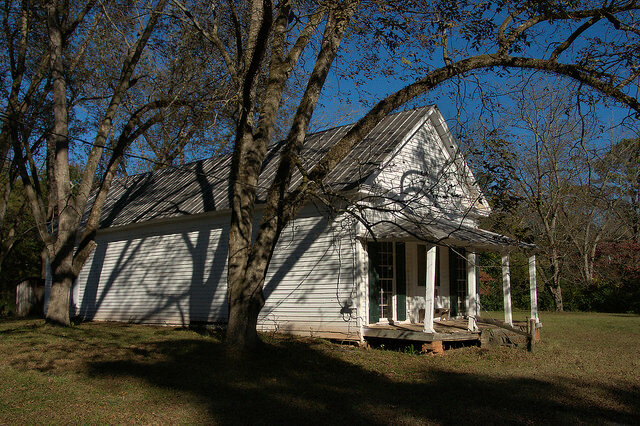 James is also connected the “Doctor’s Office” as he was the constable or “justice of the peace” and conducted court in this little building. [This information comes from my mother, now 91, who was James’ granddaughter and was raised in many of these houses listed in Philomath back when she was little]. 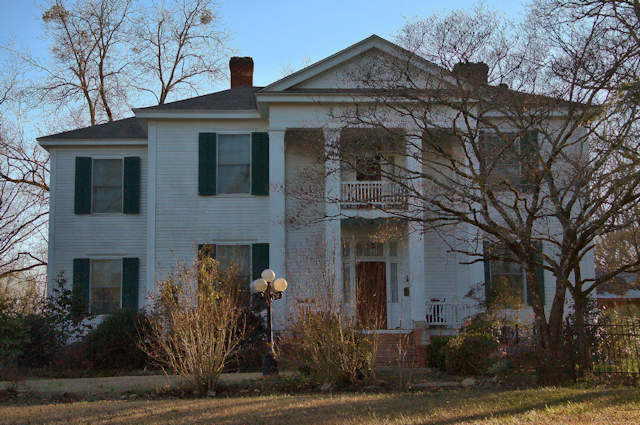 John Hunt adds: History of the Coffin House goes deeper than is listed. 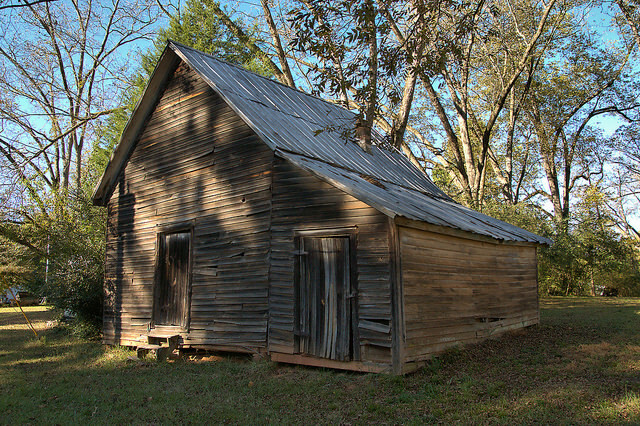 While Asa Drake did operate the funeral home in Washington, and may have used it tp store coffins, his father, James, sold coffins out of this barn prior to the funeral home. He also sold copings for cemeteries. Evidence of this is in front of the house that sits next to barn. This was James’ house. James is also connected the “Doctor’s Office” as he was the constable or “justice of the peace” and conducted court in this little building. ***This information comes from my mother, now 91, who was James’ granddaughter and was raised in many of these houses listed in Philomath back when she was little. The Drake family was very active in the early history of Philomath. I believe this has also been known as the Callaway Store. This was either an old country store or warehouse, from much busier days.